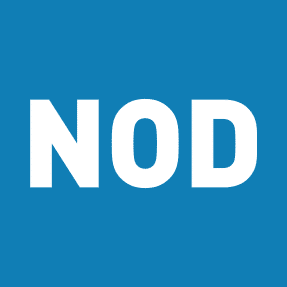 NEW YORK (June 16, 2016) – A new survey from the National Organization on Disability (NOD) finds that employers have taken major strides forward in learning about disability in their own workforce. The 2016 Disability Employment Tracker™ survey shows more than 90-percent of responding companies now invite employees to self-identify as having a disability, a 100% increase since the initial baseline Tracker in 2014 found less than half (44%) asked employees that same question. The Disability Employment Tracker™ was developed by the National Organization on Disability, in partnership with the National Business and Disability Council at The Viscardi Center and Sirota Consulting, a leading provider of organizational assessments. The partnering organizations conducted interviews and focus groups with dozens of employers, including many Fortune 500 companies, to develop a tool that is responsive to their needs, concise, and easy to use. The Tracker was introduced in 2013, with lead support from the Exelon Foundation and guidance from leading research firm J.D. Power, a business of S&P Global. Tracker data was used to determine winners of the inaugural NOD Leading Disability Employer Seal, a public, annual recognition designed to both recognize and applaud those companies who are leading the way in disability hiring and to encourage others to consider the many benefits of making an inclusive workforce a priority. NOD Leading Disability Employer Seal winners were revealed on June 9. For companies interested in participating in the Tracker, simply visit www.NOD.org/Tracker.